How Canada Work Experience helps skilled workers in Express Entry? 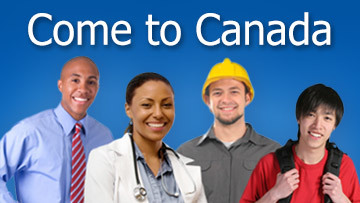 The Canada Immigration gives unique importance to the skilled professionals who have worked in the Canada for a period of time. It means who are already exposed to the Canadian conditions, who are well integrated with the Canada Citizens. Canada Express Entry Scheme, the skilled immigration program of the Canada emphasis on the people with the Canada Experience. A separate class of Canada Express Entry is allocated to the professionals who have valid Canada work experience. This is the unique class that helps skilled professionals that gives special privilege to the Canada Experience Class. Those professionals who have skilled work experience in last three years can apply for the Canada Express Entry experience class. Applicants must work under the authorized employer, part time jobs and the experience gained as the student will not be considered for the Canada Express Entry Scheme Experienced Class. The Canada Express Entry in the first half of the 2015 invited prioritized the people with the Canada work experience. Much emphasis was given to people living in Canada. The skilled visa programs of the Canada allow only the applicants to apply through the Canada Express Entry Scheme. Canada Immigration allows only skilled professionals through its economic immigration programs. Valid work experience, language requirement, graduate degrees and must be ready to live outside the Canada. Canada immigration has the best immigration procedures that are transparent and do not create any hindrance to the applicants as everything will be brought to their notice.